Recently, I’ve been reflecting on the influence my grandfather – my mother’s father – had on me. Around the house, Grandpa Mills sat reading his Bible or staring into space. But his eyes came alive in his workshop. Give him a couple of odd boards, and he could combine them with scraps he had around the shop to create an ironing board. Show him the little figure of a man sawing back and forth on a wind vane, and he could make a better one for his garage. Offer him an upright piano that had played out, and he could make two hope chests. 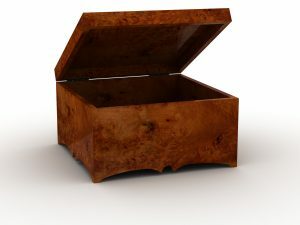 Historical note: it was customary for teenage girls to collect linens and clothing in wooden boxes called hope chests in anticipation of marriage in those days. My grandfather didn’t have time to make a hope chest for me because he died when I was ten years old. My mother wasn’t big on us getting them because she was afraid that would make us desperate to “find a man.” She wanted my sister and me to concentrate on our studies rather than pin all our hopes on matrimony. While I tried to focus on school, I longed to find a partner independent of whether I had a hope chest. Grandpa Mills gave me some things that are worth more to me than hope chest would have been – some of his values. He taught me to look for ways to reuse materials. He demonstrated how to find creative solutions. And he modelled the importance of finding a pursuit about which I feel passionate. I have found that in writing. And it brings joy to my life independent of whether I have a partner. This entry was posted in Writing and tagged creative, grandfather, hope chest, partner, passionate, reuse, workshop on November 10, 2016 by Wilda.